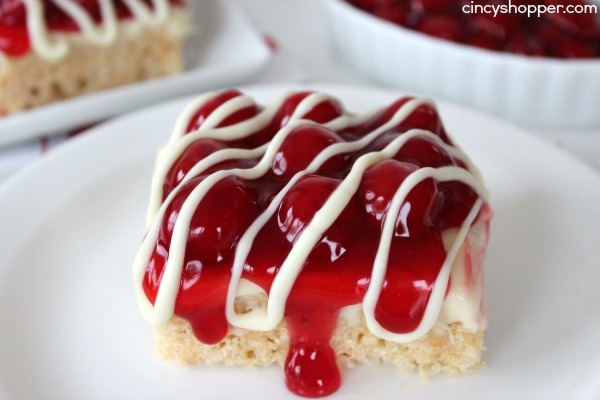 If you are a fan of cherry cheesecake you will want to whip up these super simple Cherry Cheesecake Krispie Treat bars recipe. Perfect for an everyday dessert or for a fancy treat on your next dessert table. 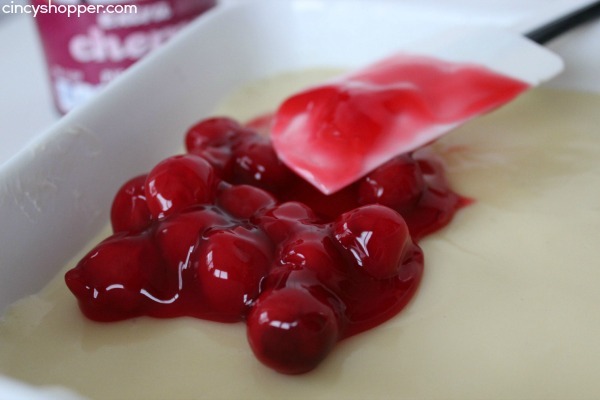 I told you last week I had been on a cheesecake trip when I shared our Cherry Cheesecake No Churn Ice Cream recipe. It must be something about all this cold weather having me crave sweets ha ha! 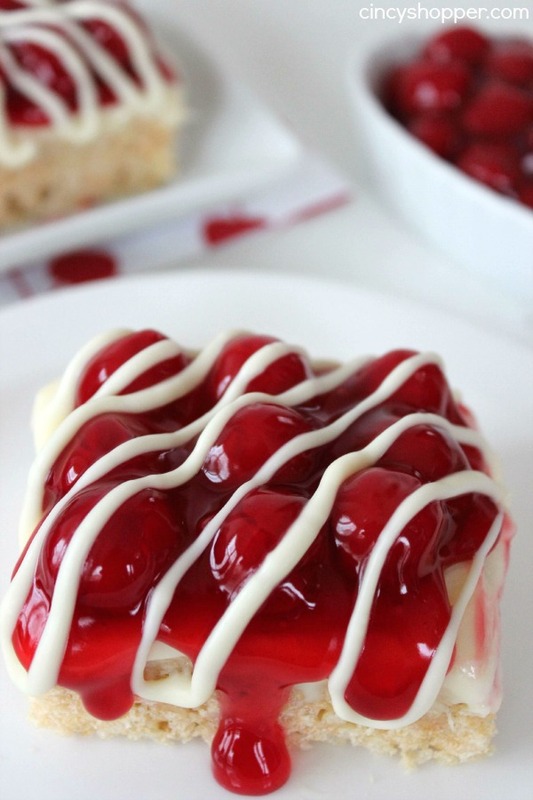 Since this recipe involved cheesecake and cherries Cierra was super anxious to give these a try (she’s such a cheesecake fanatic)! The hubby and I enjoyed one each and she did allow her brothers a couple of small bars before hiding these in her secret hiding spot. They were over the top delish. We are enjoying Valentine’s dinner at home this year. We are going to involve our kiddos this year. I love spending time with the family and I know the years that we will all be together are nearing a close. I will take advantage of any family dinner with all of my kiddos that I can. 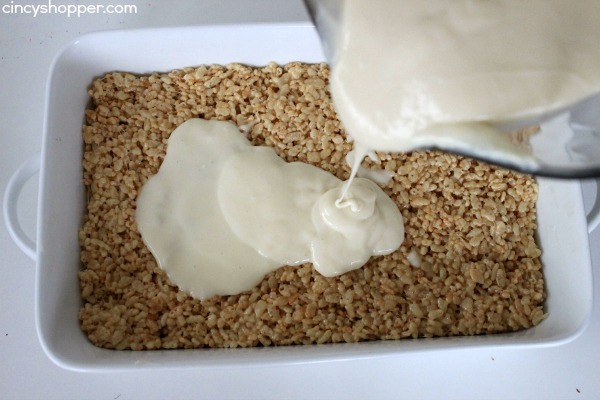 Since everyone enjoyed this recipe this will be our Valentine’s Day dessert. 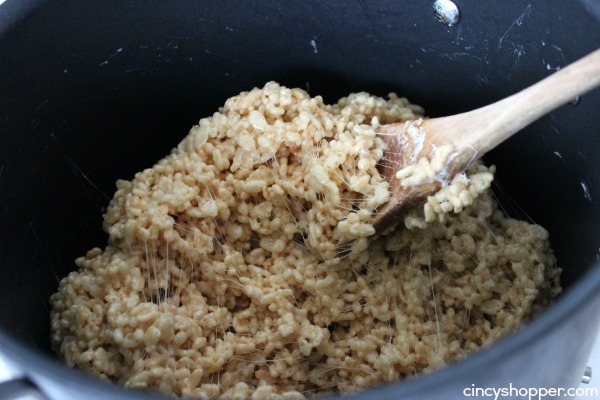 Inexpensive, easy and everyone will like it! 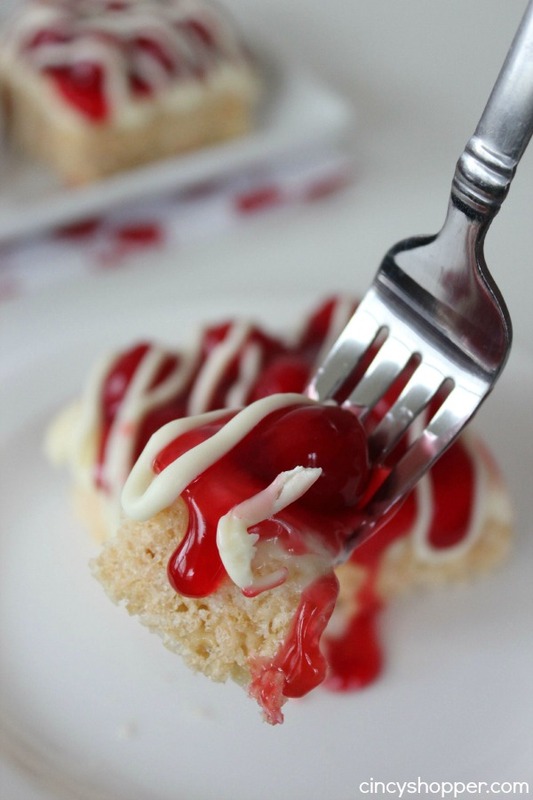 At first I considered making these Cheesecake Krispie Treat Bars with strawberries. I then switched up so I could please my little princess, ha ha. I am thinking this recipe would be great with just about any fruit topping. YUM! 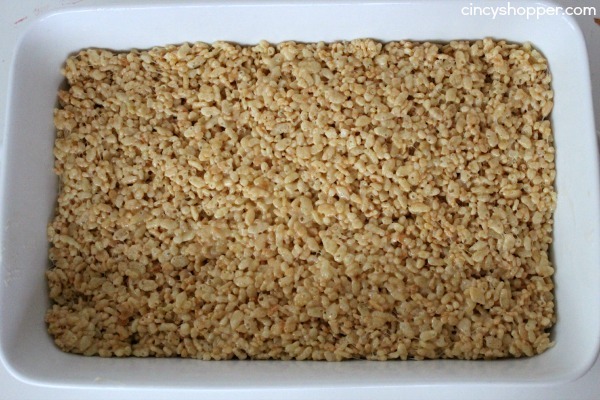 The ingredients for these Cheesecake Krispie Treat Bars are very simple. 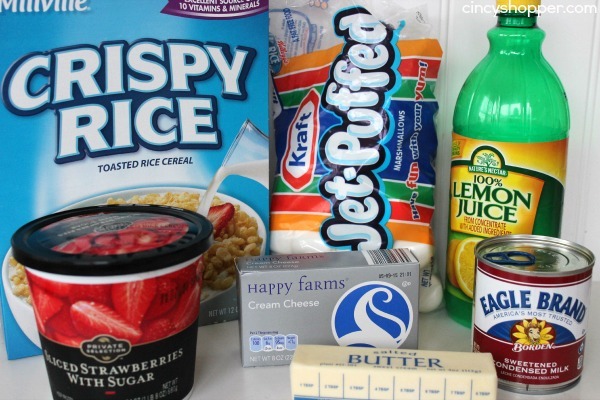 We start with a Krispie Treat bars base then the cheesecake layer and then the fruit layer. I added on a nice white chocolate drizzle to dress them up even more. 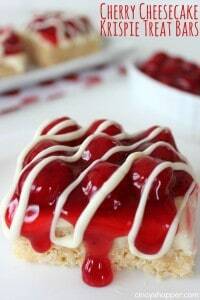 Top with cherry pie filling ( or other favorite fruit topping) and refrigerate. Knead to make sure they are melted. Yum! These look delicious – pinning!